Have you ever met someone who you swear you met before, perhaps in another life? What if this person was to become one of the most influential romances of your life? What if God sent you this person, but you constantly questioned their presence? Anyone who has ever struggled with the ups and downs of true love will relate to the portrait of heartbreak in Until We Meet Again, Dear John by new author Linda Allen. 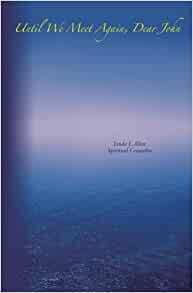 With the unique ability to speak with and console the souls of the departed, Allen puts all her psychic tarot cards on the table in this journey of self-discovery. She taps into her intuitive abilities with the spiritual world to look for signs from God on a large boulder she comes across that resembles the hand of God, to chance meetings at home and abroad with John, a man who had instantly captured her heart. Readers will laugh, cry, and identify with the chaotic link that leads to marital happiness with another man only God could provide. 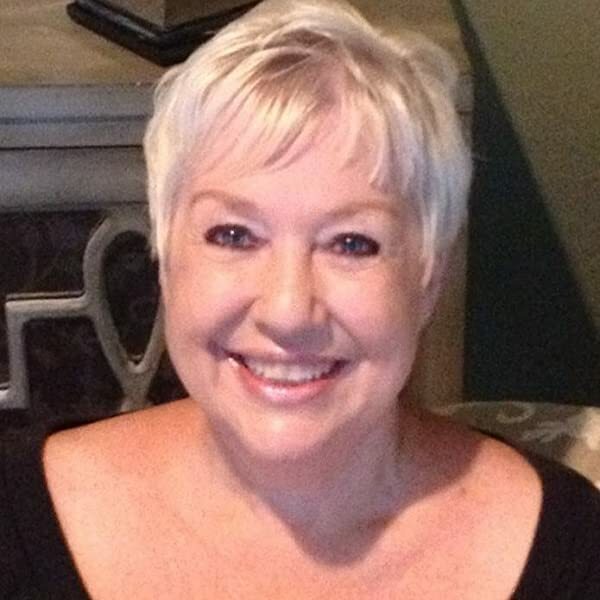 Linda Allen has had psychic abilities since childhood. Until We Meet Again, Dear John is her first book. Start reading Until We Meet Again, Dear John on your Kindle in under a minute. 5.0 out of 5 starsA GREAT READ!!!! I have been told and told to get this book, by Linda herself, every time she would say "Honey, this book has you written ALL over it". FINALLY I ordered it. WOW!! That's all I kept thinking the entire time I was reading it. The way she and John met, the way she felt when she looked in his eyes, the pain she felt when he would disappear for long periods of time, the strength she would find each time to go on with her life, were EXACTLY how I felt with my soulmate. This story touched me in so many ways. My heart is fuller knowing that I am not the only one on this planet that feels the way I do about my soul-mate. This book is an EXCELLENT read and I would recommend that everyone, whether in love, or lost and trying to find love read this book. The message at the end about learning to love yourself, priceless. You won't be disappointed! Linda’s beautiful telling of her own love story broke and healed my own (seemingly un-healable) heart. A love story, with all its rough edges, told in such an honest and open way. But this book doesn't fully portray the depth of feelings I know she must have been confronting. She's an incredible intuitive....her readings are spot on. While I was able to pick up the current of her feelings, I felt depth was missing. I have no doubt this was a karmic love tie, just missed the depth of emotion surrounding it. The story was a beautiful love story and had a wonderful life lesson. Linda showed strength and vulnerability in her relationship. She trusted her heart even when those closest to her tried to steer her in other directions. The story is thought provoking and engaging. A must read. This book brought back to me all the excitement, anxiety and butterflies in the stomach feelings from falling in love. A good read! 5.0 out of 5 starsMore from this author please! I read this book in 2 days when it first came out a few years ago. I came across it again recently and decided to take more time to read and digest it this time around. I can honestly say I enjoyed it even more. There were times in the book that I felt like the author was describing MY feelings about one of my Loves. Ms. Allen has a way of describing and detailing situations that make you feel as if she is in your head and heart and describing your own experience. I cried, and I laughed and I enjoyed it the second time around maybe even a little bit more than the first time through. I highly recommend this book. It is a good read on many levels and helped me to validate some of my own actions when I was once moving through a relationship similar to the one in the book. The power of a soulmate is explained in her book and while they are not always the best relationship we will have, they are certainly the most memorable of relationships we will have. I will look forward to more of this authors books. I could not put this book down! If you have ever loved someone and lost them, you will completely relate to this vibrant complex tale of love and loss. The characters grab you from the beginning and you are drawn into the hope, lust, pain and loss of these people. I started reading this book on a Friday afternoon and by midnight Saturday I was finished. The raw emotion and visceral context had me reaching for the tissues several times. This is a book that you keep on the shelf forever and repeatedly read over and over. I am forever a fan! I feel like I have lived this story... Perhaps we all have. Beautiful love story of a past life romance. The kind of love that only comes around once. I laughed... I cried. We would all be lucky to feel this even once.